Great Britain was once a land of watchmaking innovation, masters like John Arnold, George Graham, John Harrison, Thomas Mudge and Thomas Tompion, all left their name on the pages of the fascinating history of watchmaking. While Great Britain made an indelible mark on civilisation during the Industrial Revolution of the Late-18th and Early-19th Centuries, the nation failed to apply this concept to the serial production of pocket watches and, subsequently, wristwatches. Mass production of watches in the United States and, most notably, Switzerland, has caused many individuals to be unaware of Great Britain’s unparalleled contribution to horology. Garrick, a new British watch brand, has no lesser ambition, than to revive and celebrate Britain’s illustrious watchmaking tradition. The company was founded by David Brailsford, a successful entrepreneur, who has been an avid collector of fine wristwatches, pocket watches, antiquities and art for many years. With his keen interest in British naval history and maritime instruments, David has always dreamed of combining several of his passions. This aspiration has led to the creation of Garrick. His partner and chief watchmaker is none other than Simon Michlmayr, one of the finest watchmakers in England. Garrick is an old English name associated with some historic institutions such as the Garrick gentleman’s club in London, or the Garrick Theatre, named after the famous 18th century actor, David Garrick. David Brailsford made a significant investment in an existing facility, including the purchase of new plant. The rationale for this approach was to craft much of the timepieces in-house. Moreover, several of the components are externally sourced from British manufacturers, despite alternative, cheaper supplies being available overseas. In every Garrick watch, the main plate, gear train, spring barrel, balance spring and mainspring all come from a Swiss-made base movement. 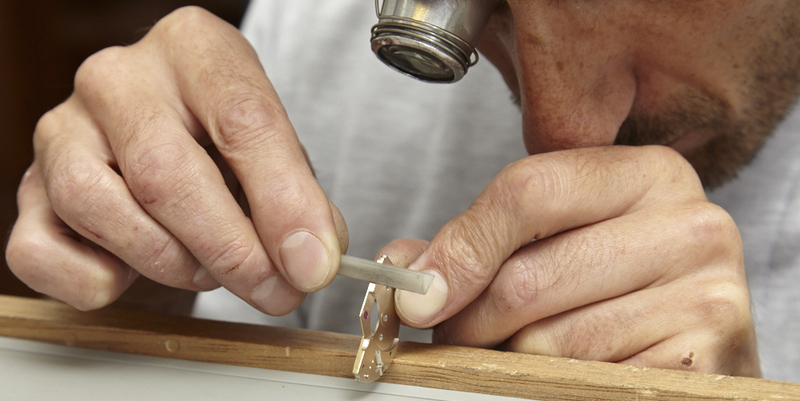 The talented craftsmen at the Garrick works expertly modify and finish these raw components. In some instances, new, locally-produced parts are used instead, enhancing the specification and imbuing the timepieces with inimitable British character. An essential part of Garrick’s philosophy is frankness and transparency about the origin of every component. They are expecting to launch their first model later this year, around November. It will have a 316L stainless steel case, with an in-house produced dial, employing a three-part, hand assembly method. The NOS Swiss manual wind movement will be hand-finished, with a in-house produced free sprung-balance, hand beveled bridges, thermally blued screws and other examples of decorations. 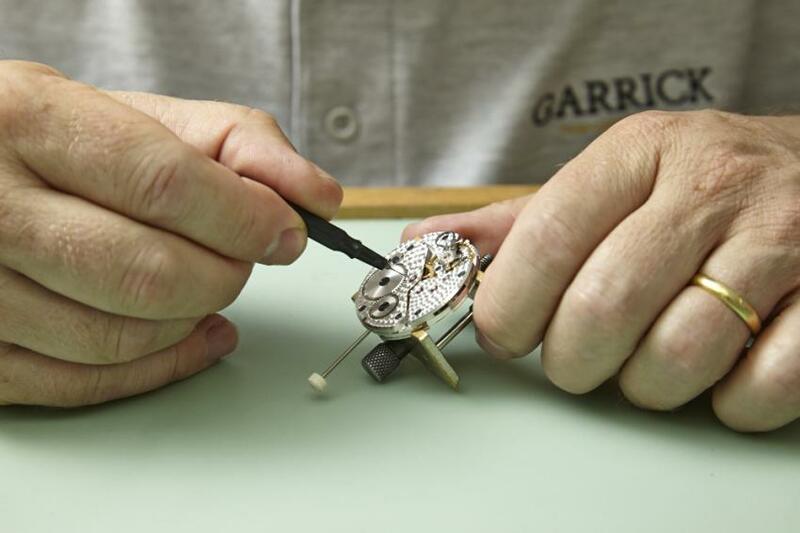 As each Garrick timepiece is hand finished, the company is able to offer a customising service. A signature or name can be added to the dial to imbue the watch with a notable degree of personalisation. Garrick is doing their outmost to get rid of the “mass produced” image that these days, follows so many brands. One of the challenges of Garrick is to offer all these customizations and hand finishing, while keeping the price in a reasonable range. Their first model will retail in the region of £3,500 ($6,366 CAD). They have also a second model and a few bespoke commissions in their pipeline. To follow the development of Garrick and stay up-to-date with the latest news about their up-coming timepiece, subscribe to their mailing list, by visiting www.garrick.co.uk or by liking their Facebook page. Let me wish David Brailsford and his team, the best of luck in their journey towards raising the profile of English watchmaking!